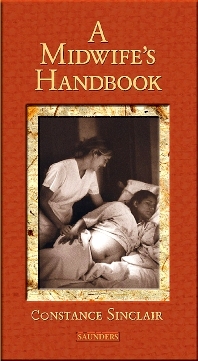 A Midwife's Handbook is designed to provide practicing nurse midwives and obstetric nurses with quick access to important clinical information. It is a comprehensive reference that offers brief overviews of pregnancy, the intrapartum and postpartum periods, as well as gynecological and medical conditions that impact childbearing. Complications are described and a brief overview of medical management is included for giving women anticipatory guidance when they are referred for physician care. The midwifery management also incorporates complementary measures such as herbal remedies, reflexology, Chinese medicine and nutritional strategies. Provides nurse midwives quick access to important clinical information that is detailed, generally has not been memorized, or that discusses issues which are encountered infrequently enough that a quick review of the details is helpful when the situation arises. Consistent presentation in each chapter begins with a brief definition of the problem, diagnostic tests and labs, differential diagnosis where appropriate, and concludes with a decision-making tree to assist in the decision making process. Nurse-midwifery management guidelines are included throughout to provide the practitioner with important information such as when to manage independently or when to consult with the physician. UNIQUE! Integrates alternative and complementary therapies along with key medical information specific to midwifery practice to provide practitioners with complete care alternatives.